BeerViking: ﻿When is a Pilsner not a Pilsner? “It's a lovely beer, but it's not to style/not an X” is one of the cliches of beer judging, especially where the revered-by-many BJCP (Beer Judge Certification Program) guidelines come into play. And so it must have been at the final round of the Pilsner Urquell London Brew-Off, which was judged at the White Horse on Parsons Green last week. The competition's premise was simple: six teams of non-brewers and amateur brewers were invited to brew a new beer using classic Pilsner ingredients. Two of the teams were from the London pubs that sell draught Pilsner Urquel from the tank, while the rest were mostly beer writers, broadcasters and bloggers. In a nod to various popular cookery shows, as well as the main ingredients they were given a bunch of other ones to choose from to make their beer distinctive. They also had technical support from London Beer Lab and Windsor & Eton Brewery. I wasn't there for the two brew days, but various of the people involved have written or filmed about it, including Martyn Cornell, Tandleman, I Love Good Beer and the Craft Beer Channel. 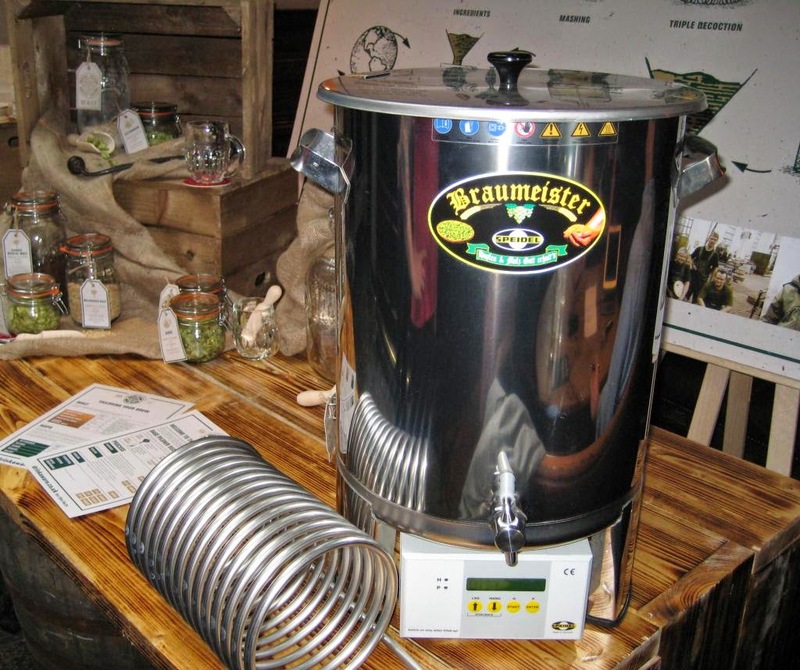 In each case, the first brews were done on a 20-litre Speidel Braumeister home-brew machine from Germany – the project was a promo for those guys, as well as for Pilsner Urquell and its parent SAB-Miller. The resulting beers were fermented and lagered, bottled and labelled, and them presented for (free!) public consumption. As well as signboards introducing each brew and proper labels for the bottles, PU's PR team had even printed up beer mats with the six names on, so you could tick the one you liked most and post the mat into a ballot box. The top three went on to a run-off panel comprising PU brewmaster Václav Berka, PU marketing man Mark Dredge, and flavour psychologist Greg Tucker. They picked a winner, which will be scaled up and brewed commercially by Windsor & Eton, to go on sale on September 12th at the White Horse's European Beer Festival. All the beers were decent – a tribute to the teams and to Braumeister, I guess – and some were actually rather good. Speaking to people at the judging about which of the beers they liked best, the names that kept coming up were Citron and Another Fine Mash, yet neither of these was the eventual winner. Why not? As far as I could tell, it was because the blogger teams who'd made them had been a little too cavalier in their interpretation of the challenge. Another Fine Mash came out as a Dunkel for example, and as one of the PU crew said, there was no way a dark beer was going to win. The golden colour is just too intrinsic to the PU mythos, never mind that other brewmasters are today cheerfully producing Black Pilsner, hazy Landbier Pils and who knows what else. So the beer that will be brewed commercially is Soundbite, brewed by a team from Bethnal Green's Strongroom bar. 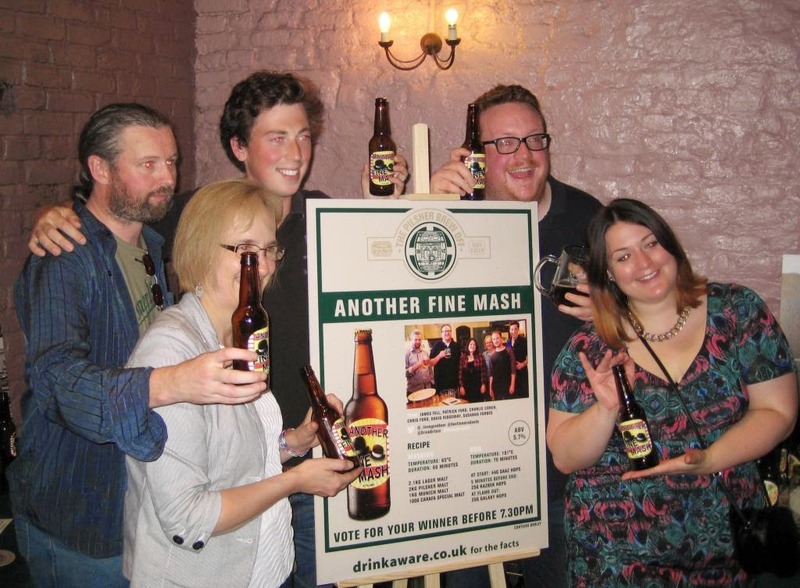 The runners-up were Pegasus, brewed by a team from the White Horse, and public favourite Another Fine Mash. Interestingly, the Strongroom and the White Horse are PU's two London tankovna – pubs that sell draught PU from a large tank. Was favouritism involved? I suspect it was more a case that barstaff used to selling Pilsner know what to aim for when invited to create a new Pilsner.